I was racking my brain over what to share this Macro Sunday. It hit me all of a sudden that my tests of dying the lace would be a perfect, bright macro photo. 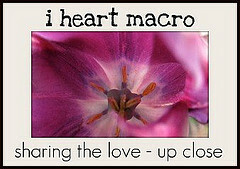 There's more I Heart Macro Sunday at Lori's blog, Studio Waterstone. Today started out rather gloomy and overcast, causing me to assume it would be spent in front of the computer completing miscellaneous tasks, like my meal plan. However, since the clouds seem to be burning away I'm hoping to get in a few hours outside. Yay!!! I do want to quickly share the two newest items in the ON SALE section of the shop. Now to make the most of what's left of the weekend. I hope you do the same!! I love that soldered pendant! All those colors are so you! XOXO Happy Sunday Hope! Ooh, I'm loving the heavier dyes on the lace. And that necklace is SO fab. I love the focal piece. 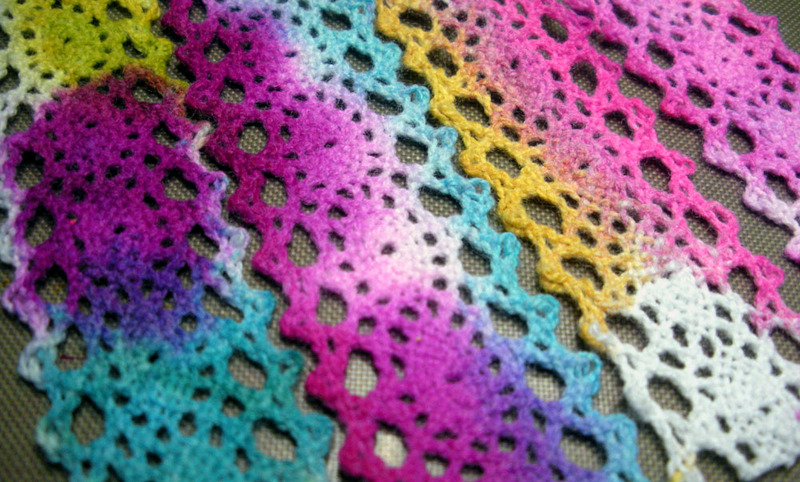 The lace experiments are going well...I see you decided on the multi colored look. Very cute. I loooove the colorful lace - what wonderful colors! what did you dye it with? is it alcohol ink? very pretty! Hope, Love the colors on the lace. Hope you had a wonderful Sunday outside in the sun shine. Very pretty and bright macro shot. Like your bangles you posted about below...I still shake me head that they are back in style. I like your wrapped in lace versions more than the clunky plastic ones from the '80s. Jenna- Thanks! I like lots of color, but also enjoy the femininity of the lace. I'm so glad you like the necklace. That one was a lot of fun to make. I really like when I can include bits of this, that, and the other like in that one. Barbara- Yes! It IS alcohol ink, but I used the Blending Solution and rubbing alcohol to experiment with getting the colors to bleed and run some. I adore my alcohols! Thanks so much for the compliment. It is much appreciated. Leah- It's so weird that there's so many styles from the 80s making appearances again. There's so much from the 80s that was just awful. The bangle I'm using is probably from that time as well since I did purchase it at a thrift store. I'm trying to use the lace to soften it up a bit. We'll see how that goes!! Thanks for the encouragement! What beautiful lace and colors! 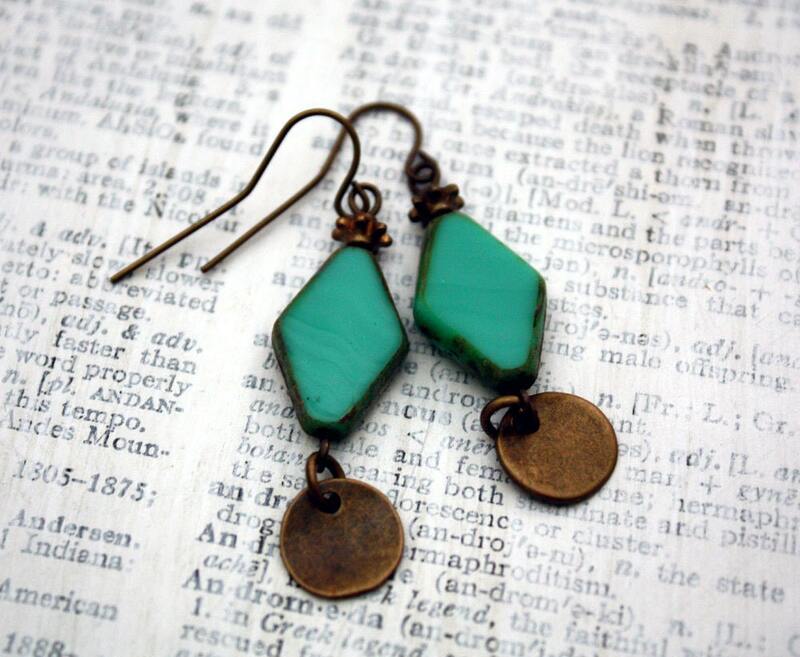 Also looks as if you have some great jewelry! thanks for stopping by my blog. Jeanne- Thank you so much! I really enjoy working with bright colors. As far as stopping by YOUR blog, you are very welcome! Love that lace, earrings, and necklace! I love the dyed lace--the way the bright cheery colors blend into one another like a water color. I look forward to seeing it on the bangle. Linda- I can't wait to get it attached to the bangle either. I just have to make a decision on the color. It seems to be harder than I thought darn it! Oh my...a feast for the eyes! The colors in the lace are gorgeous, and the Subtle Southern Fall Necklace is my favorite. Thanks for sharing your gorgeous jewelry. love the lace colors! 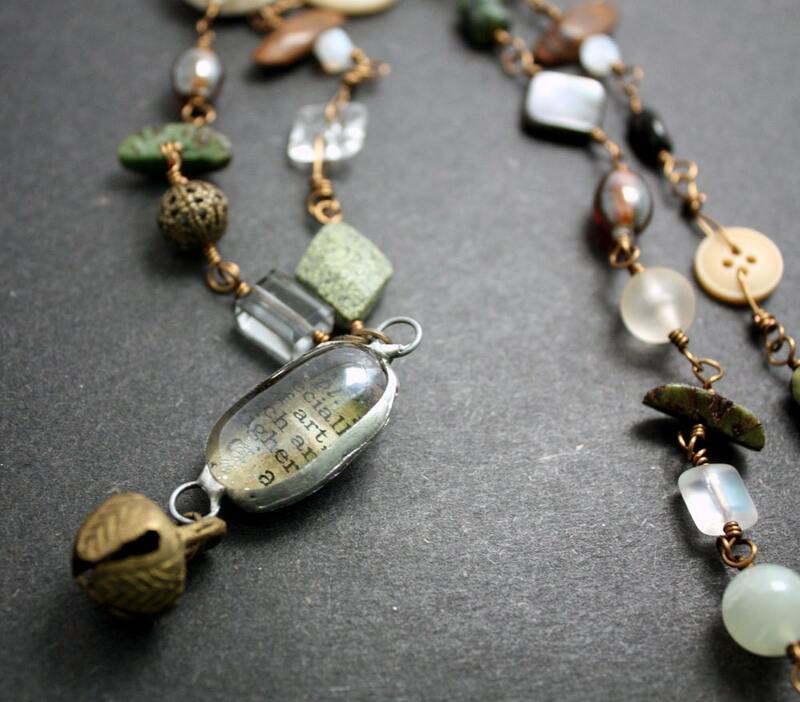 and the fall necklace is really cool! Beautiful jewelries, and the lace colors are cool. Charlene and Raw Thoughts - Thanks to both of you for stopping by! I appreciate the compliments so very much!